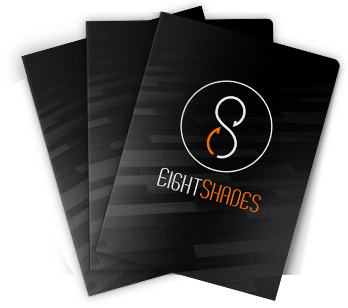 Eight Shades Media > News > Orlando WordPress Design > Question ask when hiring an Orlando WordPress Developer? Hence, if you need to set up a new website in WordPress, you need to get the service of a local WordPress developer who is proficient in WordPress programming and design. Nonetheless, there are many WordPress developers, and it is crucial to be able to sit down and talk and call your local Orlando WordPress developer to discuss strategy and design. This becomes much more challenging when you are working with WordPress developers who are not local to your area. What is the experience of the local Orlando developer with WordPress? The most important factor to put into consideration when hiring a WordPress developer in Orlando is to check their experience with WordPress. Being able to obtain an experienced WordPress developer in Orlando reduces the danger of having a site you are not happy with, and you just wasted much money on. Look for a developer with a minimum of 5 years work experience in WordPress and knows how WordPress works. Ask your developer for references of sites he has built in WordPress and study the URLs of the WordPress sites he or she provides you. What amount does the developer charge? Regardless of the time and length of your project, you most likely have set a financial plan for it, and it is imperative to pick a developer who can execute your project within the budget you have set. WordPress developers billing ranges from developer to developer or organization to organization. Many developers charge for quick turnaround time while others charge about the components needed to be set up into the system. The way to finding a developer who fits your financial plan and also your prerequisites is to jot down a list of your essentials and potential developers and compare them thoroughly. Along these lines, you can undoubtedly discover what you are searching for. Explain to your local WordPress Developer in Orlando, your budget, goals, and essentials of the site you are looking for. It is crucial to pick a WordPress developer that makes inquiries about your projects and also your questions. The true expert will set up your site base on what you want by keeping a project management plan with a list of deliverables. Employing an expert with listening and interpretation abilities is beneficial to you all through the website development process. This is much easier to achieve with a local WordPress Developer in Orlando, as you can sit down and meet to go over your project as it begins. This is much harder to do if your developer is not local to your area. Before deciding to hire an expert, observe how rapidly he or she reacts to your request. Is their response timely? Tip: A developer who is not responsive before getting the business is probably going to be unresponsive after employment. Is the website going to be mobile and SEO friendly? The reasons for having a responsive and SEO friendly site requires no explanation. For you to remain at the top of Google search engine results page, it is recommended to have a website that is optimized for speed and SEO. In this way, it is a good idea talk with the potential WordPress developer in Orlando, if he or she will give a responsive and SEO friendly site or not. SEO is usually a monthly service that the developer will charge in addition to your WordPress site development. Is your WordPress site going to be well secured? WordPress being one of the most sought after and open source platforms, it is unquestionably vulnerable to security dangers and attacks from hackers. In any case, a website can be protected as long as the developer has taken the proper safety measures, for example, clean coding the site to avert hacking, script infusion and more. Your WordPress will need to be updated on a regular basis to ensure security. Tip: Ask the WordPress developers you are looking to how they handle site security? If they do not give you a plan on updating system for the safety, I am sorry to say your site will not be secure, so move onto a developer who has a plan for this.